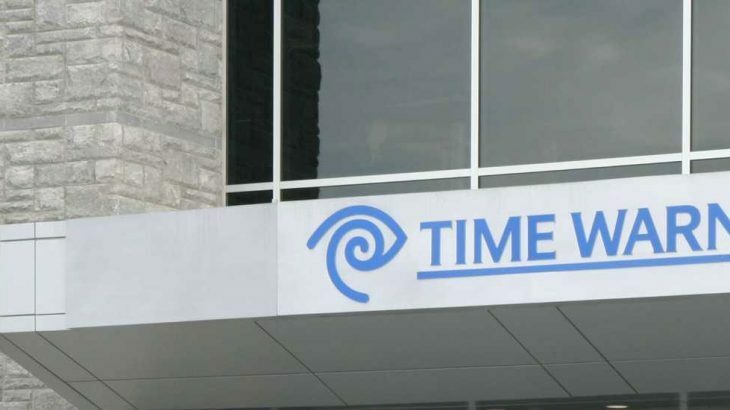 Just How Long Has Time Warner Cable Been Ripping You Off?? Suspicion has been present for quite some time, as TWC has experienced consistent internet outages. To say these outages were minimal is an understatement. Typically when outages occurred it would be nationwide, impacting thousands. But it doesn’t stop there. Not only were the connections inconsistent, at best, but the speed quality was a fraction of what customers were paying for. According to the suit, these issues have been present since 2012. Meaning, TWC was raking in millions in profits while providing quite possibly the worst internet service in the nation. Currently, the lawsuit is only for New York residents. However, if these allegations are accurate, it can be said with great confidence that the questionable service expanded beyond New York’s state lines. Only time will tell if any other states will follow suit. If you aren’t sure if you’re getting the internet speed you’re paying for, test it now with PC Pitstop’s free Internet Speed Test tool. TechTalk Slider, The Pit Blog. permalink. Spectrum is ripping us off in NH too. My internet stops completely 12 times an hour on average and is slow all the time. They sent me an “updated” router that was the same model as my old router and yup…no change. I’ve even had them try to tell me that it was probably a problem with my game systems, smart phones, laptop…yup guess they are all not capable of supporting their high speed internet. Really? Do I sound that stupid on the phone?? I’m tired of spectrum but where I live we dont have other options. Let me start with my roommate pays about $180 a month for practically bunk service… The internet alone is $54.99 and a few yrs ago he went to pay the bill and they told him they were lowering the internet speed but keeping it the same price… Now tell me how much sense that makes?!? So thats basically charging him premium price for basic internet… Wow i have to hand it ya spectrum/charter/TWC whatever tf u call yourselves but ur ripping ppl off… Especially ELDERLY FOLKS!! Better believe hes cutting his service n going with a more legit company… Because since helping my roommate get Roku with sling tv hes already saving less then $50 off his spectrum bill going with the Sling Blue package u can stream up to 3 devices and with that package u get 46 stations and u can add or remove other add ons whenever you’d like at anytime… Sling blue: $24.99 a month…. And add on prices range from $5 to $15… Not bad if u ask me… Then making the change to another local internet provider is gna save my roommate over $100… Theres no equipment fees once u buy the roku its yours and there will never be a fee… So a grand total with the switch will cost my roommate about $60 to $70… Wow wut a difference in cost… Spectrum ur history with this ripping ppl off…. Used to have Brighthouse until Spectrum took over. My internet speeds used to be 60mb/s. Now I am lucky to hit 10mb/s and Spectrum is charging more for the service. My rates went up 1 month after Spectrum took over. TWC also own Compuserve. its a telephone supply internet. backin 2001 to 2003 in california my parents used that service till they found that TWC created RoadRunner fast internet while having cable they switched to that and tried to cancil Compuserve at $20.00 month them plus review,s all say never getting through only way was the death of my last parent that caused automatic account withdraw closeing quite a bit of money and finely service disconnect cable top box charge added after tech took it. they alway,s sucked. Makeing promises there body wont keep. Far as im concerned that leadership must repent or go straight to hell! TRUMP IS CORRECT FALSE MEDIA! NOW WITH THAT,S BEEN COSTING US MONEY! Never had pay tv – never will……. 60+ channels over the air here in southeast Wisconsin…… ymmv! Why would I pay to have commercials pumped into my house? There is a bigger picture here as well… TWC knew they were going to sell and needed for reduce quality , charge high rates then get the heck out of Dodge so their profits would be desirable for “would-be” buyers and share holders would make bank. It’s like selling a car to someone knowing its a lemon except with billions of dollars. Wake up people…things like this go far beyond slow internet. When I signed up for High speed Internet the TWC had a promotion for a $ 100.00 VISA Debit card, I signed up but never received the VISA card, all I got was excuses as to why no card, and excuses as to why poor internet speed, service techs came out numerous times to attempt to fix it with no visiable improvement to the service, hope the law suit helps but I doubt it! This sounds just like Comcast. My high speed internet was dirt and iffy. I fought for years and wound up paying to have their techs to come out and tell me what I told them. You just have to buy your own routers make sure it is “approved” though and that they take off any charges from your old cable provided router. Internet ONLY – 15 MBps – $65.00 per month. Perhaps one of the most expensive internet monthly charges in the country. TWC, which has merely changed their name to SPECTRUM, has horrid customer service and exorbitant pricing. And there are no other choices available, besides satellite. That is NOT a choice. @Discontent: Comcast is no better and can’t deliver 20mb as published. with TWC down here for now. I’m confused on one point. What is Spectrum? I live in an area only serviced by Charter Spectrum, (terrible service but the internet speed is ok) and when I tried to see certain things that had to be ok’d by my internet provider I found out that there are several Cable Co.’s using Spectrum as a last name and Charter is not one of them that authorizes the service I wanted. I do have to say, I get the advertised 60 Mbps most of the time, but they throttle it way down if you try to download a large file. The cable is usually ok too, although they often seem to shut it down from around 2 AM till 6 AM. Not true. Charter changed the name of their service to Spectrum once the purchase of TWC was finalized. I have had great service and full internet speeds from Charter for over 6 years. You do need to keep on top of them when you see it slow and they need to provide an updated modem but that has not been a problem for a couple of years. I went into Spectrum-Time to pay my bill 3 days before it was due. Two days after the due date, I received ed charges to my account. After having paid my other bills, the amount they charged me bounced. They kept submitting g the draft, twice and for 5 days. I called them several times, one time from my credit union with the rep on the linew. She instructed him to show charges and he sent a page from my statement. I never heard back from them. I called one week ago to see what the status was and was told that the company declined to reverse the charges! I exploded! They charged me twice and bounced my account 5 times at $35.00 a pop and disconnected my services for not paying this month. Their equipment is in my car as we speak! I’m very happy I’ve never lived in an area serviced by TWC. As I see it regardless they need to be sued for ripping off their customers and let it be a lesson to other cable companies that do the same. Don’t feel bad. Verizon continually advertises 150/150 Fios Triple Play for $79.99/mo. Not available in this area. I pay more than that for just unlimited phone and enhanced high speed internet that runs at 1.1 to 3 mbs. So pay more without tv and internet that runs 30 times slower. I did better than cable and for a lower price. Went with Dish network. Lots more channels, better clarity picture and great customer service. For internet went with CenturyLink. It’s fast enough to suit me (40Mbps. I know because I tested it) and always works at 1/4 the price of cable. So how do we get compensated for an ‘alternate’ promise more bad service from an even larger rip off Spectrum? how about 50 for $15 for next 10 years to make up for the full on lies. It’s hard to see how this suit is anything more than showboating. I understand that the cable companies are generally providing a poor quality service, but if you read the contracts they specifically note that they do not guarantee you will get ANY data at all, not to mention data at any particular speed. The contract is very carefully constructed that way. The only argument I can see that might succeed is that by providing equipment that was physically incapable of ever meeting the speed you were paying for they were committing fraud. I hope that works, but I am not holding my breath. The cable companies have hundreds of high priced, competent lawyers. I have complained about the slow speeds and constant outages for years, but no one at TWC ever made any attempt to fix it. The only time period I had good service from them was when AT&T started to move into our area. My TWC service was great for several months….. the they announced their merger, and the service went back to what it was. I also have a home with Comcast service…. they make TWC look good. Now let’s see an investigation of Cox. Talk about ripoffs. . .
TWC television is a total pain to deal with. HOWEVER, for internet, I have my own router. Right now I’m paying for 100 mbps internet, and I’m getting 234 mbps. Totally smoking. The others ought to be ashamed to call 6 mbps high speed!! Outages are few and short-lived. Very happy with my internet experience with TWC. In North Carolina. TWC upgraded my internet, sent me old slow routers. Checked routers that came in, found them worth less than 10$, Found out the in/out speeds, and ordered my own router from Walmart. Sent back their two routers(first didn’t boot up), and ran a second in/out speed…Four times as fast. Got a promo a year later for less than half the speed of my personal router, and checked MY speed again, faster with my router making it almost five times faster than theirs. Ohio needs to follow new York in a class action suit. @alexander g pocs III: Check your contract. I bet there’s a forced arbitration clause in it preventing class action lawsuits………You can thank Bush and the Supreme Court for that decision. It came very soon and very quietly after the Citizen’s United decision. The only help we could ever hope for is through the FCC who were making inroads in protecting an open and free internet, along with some crackdowns on unfair practices. Now you can forget about that, too. Ohio and the whole country is being fucked by corporate greed. This lawsuit needs to strike at the jugular of this evil monopoly! I’ve had Charter Spectrum again for the past year. Before that I had Charter for 2 years with a break during which I had numerous satellite services which provided abysmal service and repair. Charter installed new personnel at our closest office which seems to respond much more quickly to service repair. With the numerous satellite services they had complete outage of service not only when it stormed, but even when dew came down. I had more outages with them than I had service. Charter service has been overall very reliable. Very few outages, and when we had an outage it was a large 16 wheeler mowing down numerous connections and boxes. Speed is very good, especially when we were able to connect an extender so the WIFI signal is amplified and now can reach every point in our home. Wait a minute now – even Charter – Spectrum with its advertised speed is a lie? I have had Charter for more than 5 years now. I want to know why they lied to me. I will be following the news related to this issue.